This colorful representation of the world was specially designed for the conference room of Howden Insurance offices in Kiryat Arie. We thought the map of the world was a perfect motif for such an international firm. 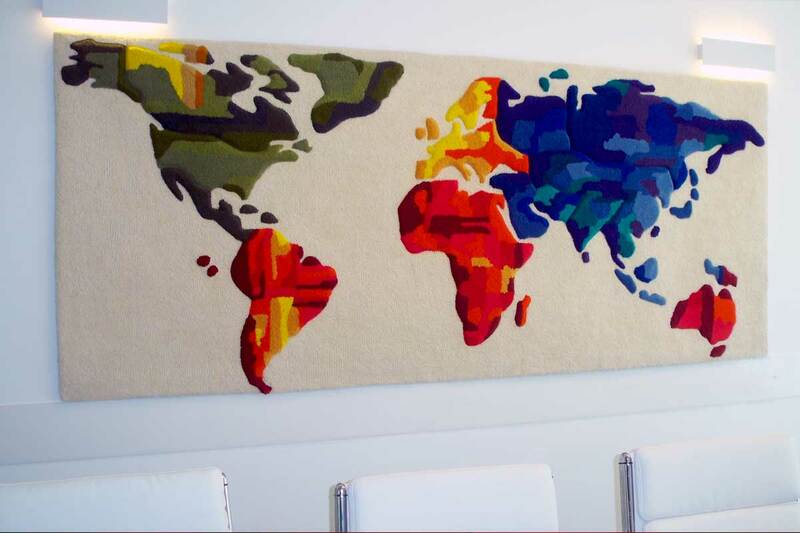 Furthermore, as one of the directors said, they could use small pins with flags to stick into the tapestry, indicating the location of their offices worldwide.